We are pleased to announce that we are now providing full service, expert rug repairs and rug repair services in Asheville, Franklin, Waynesville and Sylva, NC. 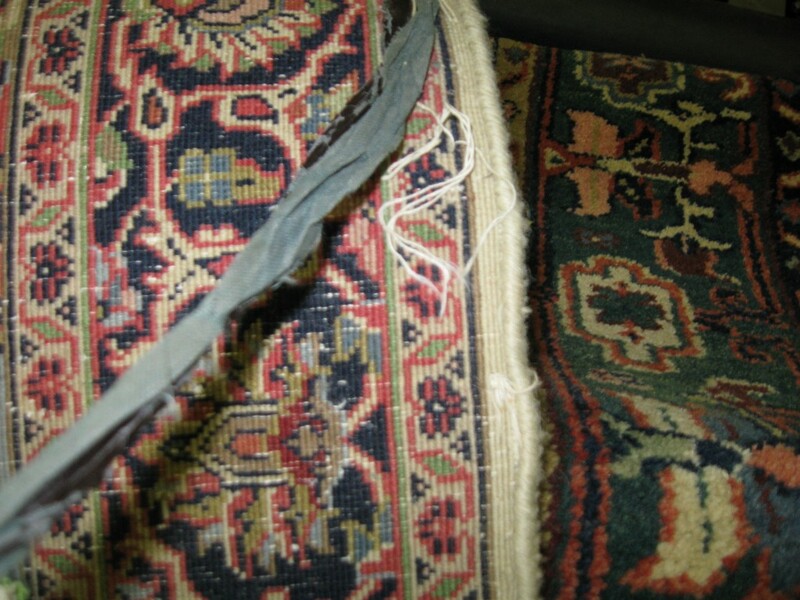 No rug repair job is too big or too small for our rug repairs professionals. Drop off your rug today or contact us for a quote. With braided rugs their is always the possibility of the threads coming apart due to wear or washing. However, these threaded seams can be sewn back together. Luv Ur Rugs can re-sew the threaded seams back together for you. If you have a rug whose threaded seams have come apart due to wear or washing contact us for a quote on re-sewing your rug’s threaded seams or drop the rug off and we will sew the threaded seams back together for you to pick up later. We also provide rug wrapping, scotch guarding, cleaning, and urine treatments for rugs please review our additional professional rug care services. With wool rugs some have a latex backings that can come apart in time. These backings can usually be repaired. If you have a wool rug and the latex backing is coming apart please drop it off today and we can reattach or repair your wool rug’s latex binding for you or contact us for a free quote on having your wool rug’s latex backing repaired. The rug may need to have the rug binding repaired as well. We can take care of any rug binding needs for you. 28 Cross Stitch Mt Rd.